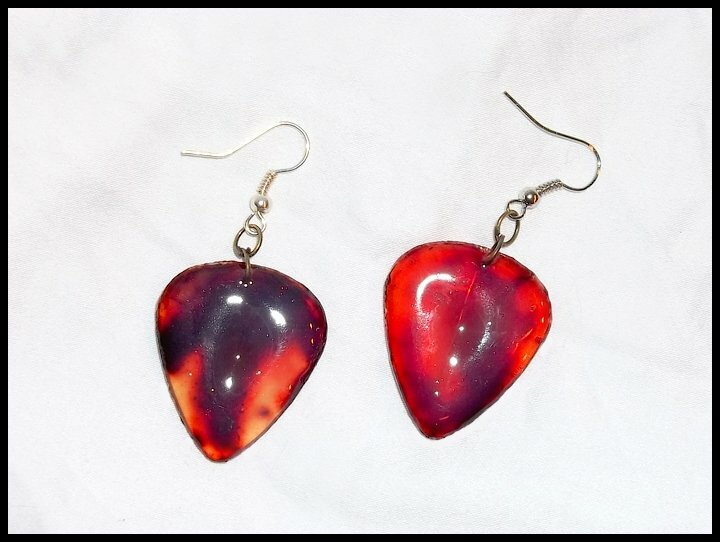 Cracked & Bloody Guitar Pick Earrings! One of my personal favorites - these clear cracked and bloodied guitar pick earrings are perfect for Zombie costumes and anything "scary." Fish hook style backs.